Earn $23.50 in Podium Club credit (2350 points)What's This? 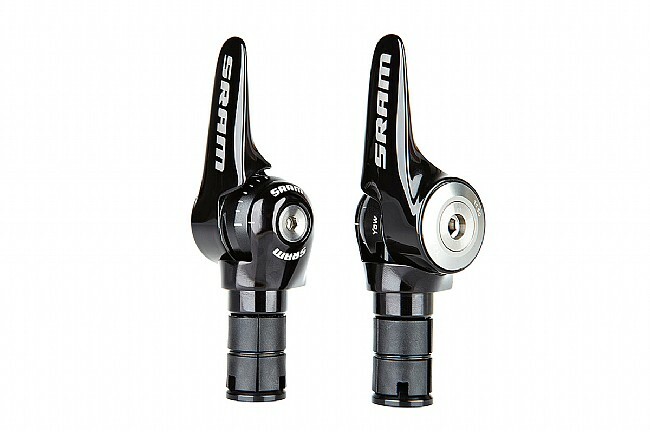 The SRAM R2C Aero SL-1150 shifter set features the R2C (Return to Center) technology at a lower price. After every shift it immediately and automatically returns to the starting ‘center’. No more stress, awkward hand positions, or loss of concentration. Just focus on your search for speed. The shifting blades are made of lightweight alloy and have an optimized ergonomic shape for comfort and natural handling. Rear shifting is indexed for fast and flawless gear changes, while the front shifter is available for 11 speeds in Yaw™.